A remarkable tenure is set to end in April as James C. Gorman, Chairman of the Board of Directors of the Gorman-Rupp Company, has announced that he will not be standing for reelection to the Board for the coming year. The announcement was made as Gorman-Rupp announced a quarterly cash divided as well as the date for its Annual Meeting of Shareholders. The Board of Directors has declared a quarterly cash dividend of $0.135 per share on the common stock of the Company, payable March 8, 2019, to shareholders of record as of February 15, 2019. This will mark the 276th consecutive quarterly dividend paid by The Gorman-Rupp Company. Other action taken by the Board of Directors of The Gorman-Rupp Company was the announcement of the Annual Meeting of Shareholders scheduled to be held Thursday, April 25 and the related establishment of the close of business on March 4 as the record date for shareholders entitled to notice of and to vote at the meeting. The meeting will be held at 10:00 AM, Eastern time at the Company’s Corporate Headquarters, 600 South Airport Road in Mansfield. As noted above, James C. Gorman, Chairman of the Board of Directors, has notified the Company that he will not stand for re-election as a Director at the Company’s 2019 Annual Meeting of Shareholders scheduled in April, at which time his term as a Director will expire. Mr. Gorman, 94, has served as a Director of the Company since 1946 and as Chairman since 1989. Following the conclusion of his term, Mr. Gorman plans to continue his involvement with the Company in a non-executive officer capacity. Wayne Walston also has notified the Company that he will not stand for re-election as a Director at the Company’s 2019 Annual Meeting of Shareholders, when his term will expire. Mr. Walston, 76, has served as a Director of the Company since 1999. 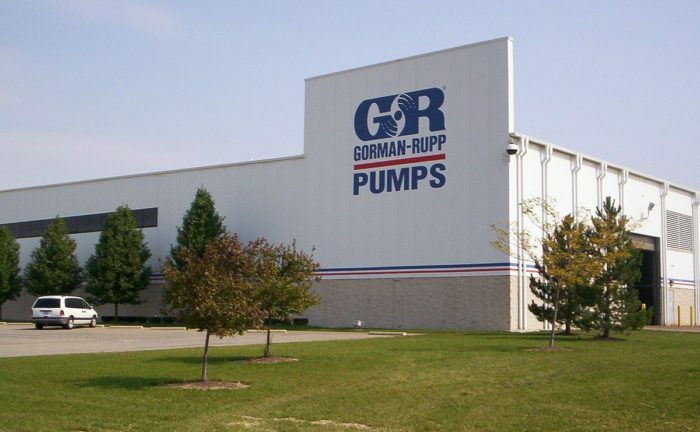 The Gorman-Rupp Company started during the Great Depression when two engineers started a pump manufacturing business in a barn outside of Mansfield. It has grown into one of the world’s largest pump manufacturers, with annual sales exceeding $300 million.